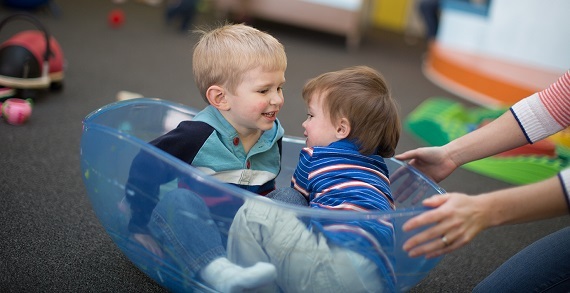 Register now for peapod play cafe summer camps! 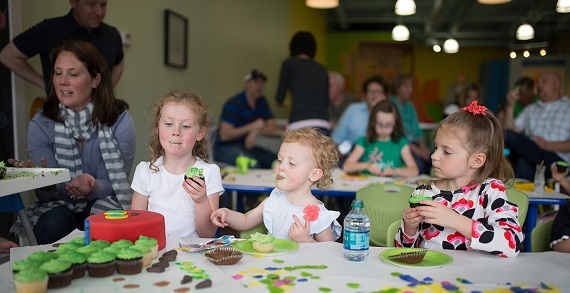 peapod play cafe offers a fun-filled summer camp for kids 3-6 years old. Each week brings a new theme and unique fun in the activities and classes. 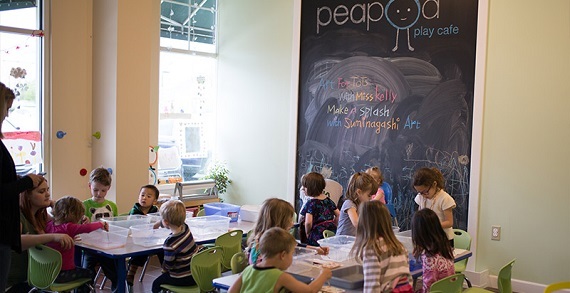 Campers can look forward to imaginative playtime in the peapod play space, two daily themed classes, circle time, a healthy lunch and fun everyday. Special Offer: FREE registration when you mention “KidsLinked”! 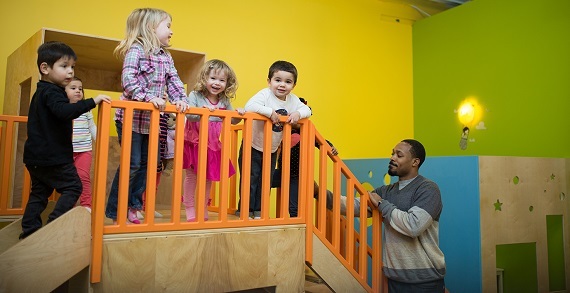 Offer ends June 1, 2015.
peapod play cafe offers a three-hour late morning session (10:00am-1:00pm), three days a week. There are options to register for either three days/week, two days/week or single days. The theme will be tied to the week’s activities and classes. June 2-June 4: Egg and Nest: Let's build an EGG-actly perfect home for the little birdie eggs that will soon be here. June 9-June 11: Dance with Elephant: Move with the grace of an elephant. June 16-June 18: Delights for Dads: Join us in creating a tasty treat to honor dad on his special day. June 23-June 25: Fairy Garden: Enter the whimsical world of the fairy with this fanciful craft. June 30-July 2: Knights and Princesses: Receive the royal treatment as we become knights and princesses for a day. This enchanting activity is sure to have a happy ending! July 7-July 9: Bug's Life: Creeping, crawling, flying burrowing. How many ways can a bug get around? Buzzing, clicking, chewing, stinging. What else will be found in this big look at little creatures. July 14-July 16: Magic Potions: Come and sit a spell with us. This activity will give children an opportunity to experience the magic of chemistry first hand. July 21-July 23: Snow in July: Escape the sweltering heat and cool down with an icy craft. July 28-July 30: My Imaginary Pet: Every child needs a pet. Join us to make the kind of pet that you never have to feed. August 4-August 6: Busy Bodies: Move, wiggle and shake as we get our bodies moving and grooving. 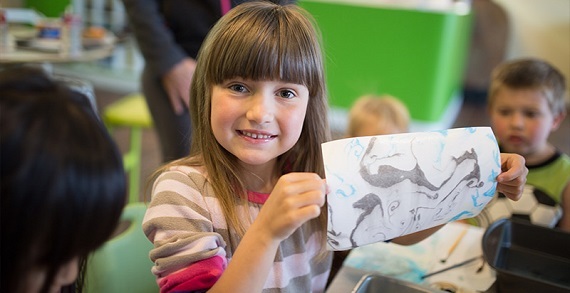 August 11-August 13: Dino Stomp: Travel with us back to the time of T-Rex and Stegosaurus. Pricing: $110 per week (3 days: Tuesday, Wednesday, Thursday); $80 for two days per week (choose days Tuesday-Thursday); $45 Daily Drop in rate (minimum of 24-hour advance notice if space is available). Please register by calling (614)-855-2517 or stopping in. Classes do fill up quickly!